Partners Albania, in cooperation with and the support of Olof Palme International Center and OSFA, is implementing an initiative that aims to increase the participation of CSOs and interest groups in the process of participatory budgeting at central level for youth, education, sports and social issues. Partners Albania launched a call for expression of interest from civil society organizations across the country, to analyze and influence the budget of the Ministry of Education and Sports and Ministry of Social Affairs and Youth for 2016. 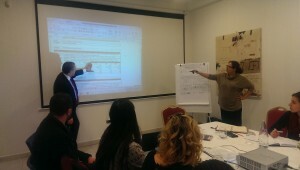 Representatives of 22 organizations from Tirana, Shkodra, Vlora, Korça and Fieri responded to this initiative. On 15 and 16 October 2015, Partners Albania organized information workshops with CSOs and subsequently, on 19 and 24 November 2015, training programs on advocacy and lobbying for civil society organizations operating in the field of social issues, children, youth, education , environment, etc. 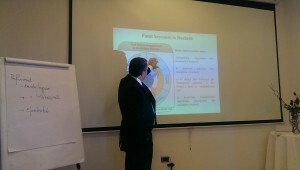 The training were led by experts of Partners Albania and Prof. Dr. Arben Malaj. Participants were introduced to the findings of the Open Budget Survey 2015, Albania’s position on issues of transparency in drafting of the state budget, basic principles of open participatory budgeting, the draft budgets of respective Ministries targeted by this initiative, etc. At the end of the workshops, training sessions and the assistance from experts, a group of organizations -part of the process – undertook a concrete initiative to give their suggestions for increase of the budget on some priority issues related to children, youth, environment, etc. Following the publication of the calendar of Albanian Parliament on the hearing sessions related to the state budget 2016, five organizations (Milieukontact Albania, Save the Children, Eper Center, Down Syndrome Albania, and YouthAct) submitted the request for participation in the parliamentary committees meeting and on 7 December 2015 presented suggestions and proposals before the Committee on Education and Public Information Tools. This was the first time that the central budgeting process becomes the object of analysis and opinion gathering from civil society organizations on issues of interest to the groups they represent. The initiative will continue with a series of other activities to implement the advocacy plan drafted by organizations themselves, to reflect in the 2016 budget the priorities of interest groups with regards to education and social issues. This pilot initiative is being implemented by Partners Albania in cooperation and with the support of Olof Palme International Center and the Open Society Foundation for Albania.